Team Easton shooters were all over the podium at Europe’s premiere Nimes European indoor archery tournament, taking 9 of 12 podium positions in the premiere senior categories, including total podium sweeps in Men’s Compound and Recurve. 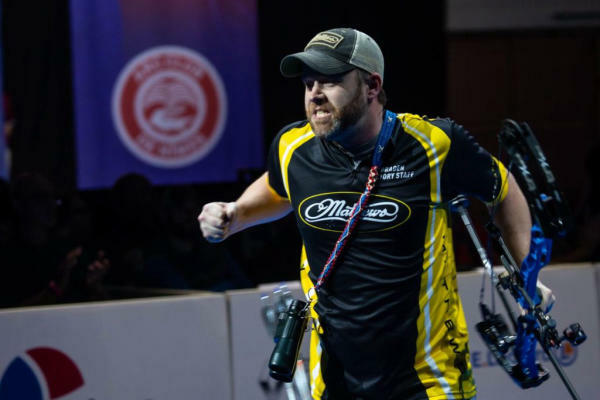 Shooters from across the globe descended upon Nîmes, France for the penultimate stage of the Indoor World Series. 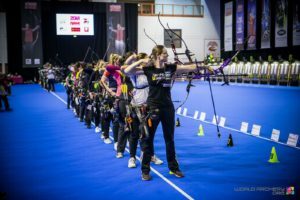 The largest indoor archery event outside the U.S., Nîmes is considered by many to be the de facto world championship of the World Archery Indoor format, due to the high level of competition and global participation. 2016 Rio Olympic team gold medalist Lee Seungyun (Korea) took point in Men’s Recurve, followed by up-and-comer silver medalist Sergii Makarevych (Ukraine), with bronze going to 2012 London Olympic individual gold medalist Oh Jin Hyek (Korea). 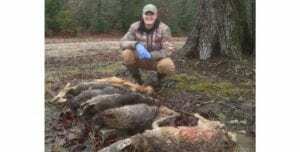 All three used Easton X10 arrows. Men’s compound saw three previous Nimes winners on the podium. Braden Gellenthien (USA) earned a repeat trip to the top step, taking gold over American compatriot Kris Schaff. “Mr. Perfect” Mike Schloesser (Netherlands) earned a hard fought bronze medal. Gellenthien used Easton’s SuperDrive 23, while Schaff and Schloesser chose Easton X23 arrows. Kang “The Destroyer” Chae Young (Korea) won gold in Women’s Recurve. The World Record holder took it wire to wire, winning the qualification round and only giving up five set points over five matches. Sim Yeji (Korea) joined her teammate on the podium with a bronze medal of her own. Both used Easton X10 Arrow shafts. Outdoor World Cup Final medalist So Chaewon (Korea) brought her game indoors, taking a silver medal in Women’s Compound with Easton X23’s. 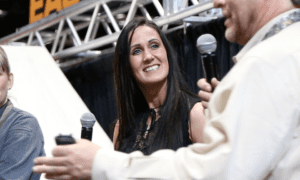 Next stops for #TeamE on the tournament tour include the Lancaster Archery Classic, Japan Open in Osaka, and the Vegas Shoot for the indoor season grand finale.